Views: Spotting at this location is for runway 12 arrivals and departures, runway 8L and 8R arrivals and departures. Runway 12 operations are amazing from this location as it happens right in front of you. Directions: From the Palmetto Parkway (Florida State Route 826), take the exit for NW 25th Street. Head east on NW 25th Street through 3 sets of traffic lights. You will see the airport fence as you approach the airport. On the left hand side, you will pass the Customs building on the left hand side. Immediately after the Customs building on the left hand side, you will see a grassy park area, and the holes in the airport fence. Directly over the road from The Holes is a road that has a dirt parking area. Park there and walk over the road and enjoy the view. Security: Miami-Dade Police are usually very easy about this location. It is located right next to the Customs building so there are always Customs vehicles driving up and down the road. The majority of them will wave be generally friendly. For safety, always carry ID. Photography: The Holes is a very unique place for spotters as there are holes for camera lenses physically cut in the fence. For the runway 12 operations, a 28-100mm lens is perfect. The action is right in front of you. For the runway 8L and 8R operations, a 300mm lens will suffice. Be cautious of heat haze for the departures as shooting over runway 12 and the taxiways can cause a lot of it. Notes: This location is easily accessible and makes for a great place to spend a nice afternoon. Do NOT try to take a ladder to this location. The Police get nervous when they see ladders. You don’t need one anyway, since you have the holes in the fence to shoot through. 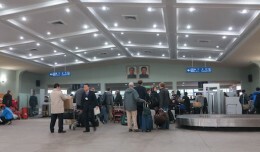 From this location, get used to a lot of American and other domestic airlines for the arrivals. For the departures, you will get everything – the Internationals included. On occasions, the European heavy arrivals will arrive on runway 12. Views: Runway 9 arrivals and departures. Directions: From the Palmetto Parkway (Florida State Route 826), take the exit for NW 25th Street. Head east on NW 25th Street until you get to the traffic lights at 72nd Ave. Turn right on 72nd Ave and follow the road around past the threshold of runway 9. Pass over the railway tracks and at the next traffic lights, turn left. Proceed to the next traffic lights and turn left onto NW 72nd Ave. El Dorado Furniture is on the corner of that road. Drive to the end of the street – there is a barrier at the end of the street. Park in front of the barrier. Do NOT park in the furniture store parking area. Security: As noted, do NOT park in the parking area of the furniture store as this will get Miami-Dade Police there very quickly. Miami-Dade Police have been known to ask people to leave, but these occurrences are few and far between. The majority of the time, they will just watch from a distance. As always, carry ID just in case it is needed. Photography: At most, you will need a 300mm lens to get the aircraft as they pass in front of the control tower. For the normal approach shots and the departures, a 200mm is perfect. Notes: This location is very open. You get all the South American flights as well as a lot of the European arrivals. This is the departure location for all the cargo flights as well. 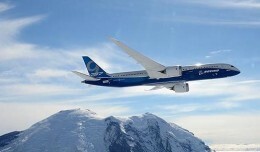 Boeing’s newest offering in the 787 family received certification from the Federal Aviation Administration (FAA) and the European Aviation Safety Agency (EASA). Flight delays happen for many reasons. 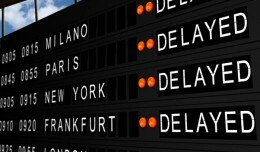 Airlines can impose delays on themselves, or when weather hits, delays are put into place by air traffic control. 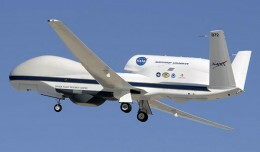 Over the years, a particular focus has been placed on aviation safety improvements. 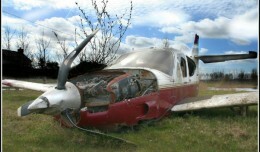 Many of these improvements have come to be thanks to the lessons learned from past crashes.